It’s appearing, slowly, methodically, but unmistakably, in the Black Hills of South Dakota, just 13 kilometers (8 miles) from the park where the famous stone busts of presidents George Washington, Abraham Lincoln, Thomas Jefferson, and Theodore Roosevelt loom atop Mount Rushmore. 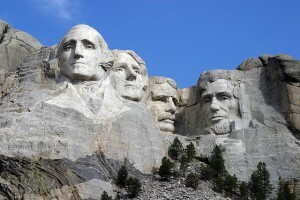 In the 1940s, when sculptor Gutzon Borglum’s work was finished on Rushmore’s granite façade, a Lakota Sioux chief, Henry Standing Bear, wrote Borglum’s assistant, Korczak Ziółkowski, a Polish immigrant from Boston whose marble bust of Polish pianist and statesman Ignacy Paderewski had won first prize by popular vote at the New York World’s Fair in 1939. You have come to our sacred mountains with dynamite and picks and gas-powered jackhammers to build a monument to great white men, Standing Bear told Korczak (his family and everyone else I’ve met in South Dakota calls him by his first name, so I will as well). Why not create a monument to honor the greatest of red men as well? Korczak agreed, and in 1948 on Thunderhead Mountain, he began work on a pink-granite monument to Chief Crazy Horse astride a charging horse. “Every man has his mountain,” Korczak said. “I’m carving mine.” He had $174 to his name when he began. Ironically, perhaps eerily, Korczak was born on September 6, 1908, 31 years to the day after Crazy Horse was slain. Many Indians consider that an omen. Korczak’s mountain rose in a scraggly patch of pine forest reached by no highway, no electricity, and no running water. So the project on which he spent the last 30 years of his life is a tribute to amazing logistics as well as astounding art. Korczak worked alone until his children were old enough to pitch in. For years he climbed 741 wooden steps that he had built up to the ridge atop which Crazy Horse’s face would emerge. One day, he made that up-and-down trek nine times when his balky old compressor below kept sputtering to a stop. 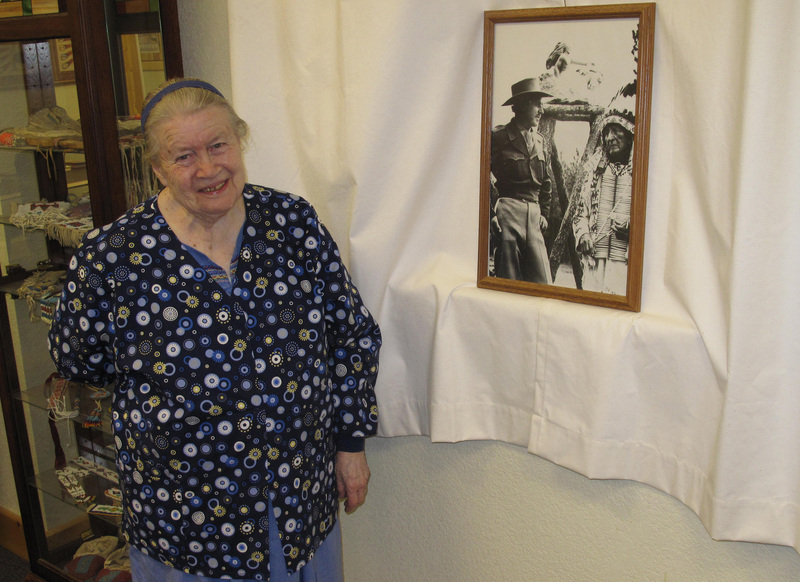 His subject, Crazy Horse — Sioux name Tashunka Witko — was a fascinating and controversial choice. 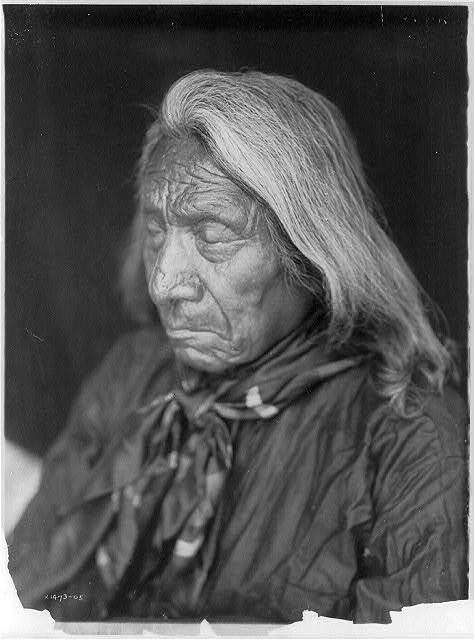 He was the fiercest of Sioux warriors in the years when these nomadic people fought desperately to retain their way of life against whites who broke treaty after treaty and pushed steadily into their sacred lands and hunting grounds. 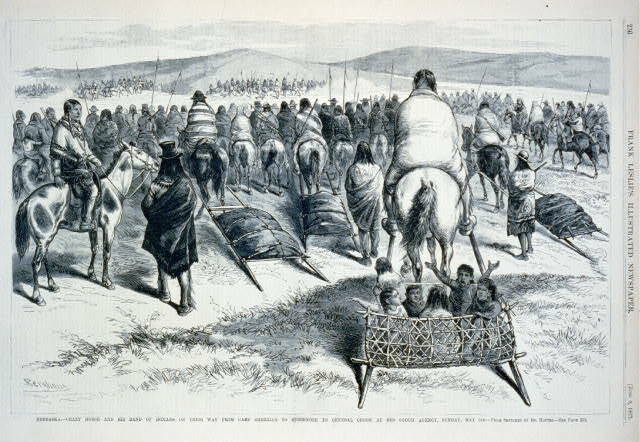 An old chief and spiritual leader named Sitting Bull brought the Sioux and Cheyenne tribes together for a showdown with white soldiers on the Little Bighorn River in Montana Territory in 1876. But it was Crazy Horse, a warrior in his 20s, whose ferocious visage — red hawk-feather headdress, long hair flying, face painted with a lightning bolt — led braves into battle that turned into the annihilation — whites called it a “massacre” — of U.S. Army general George Custer and all 210 of his men. 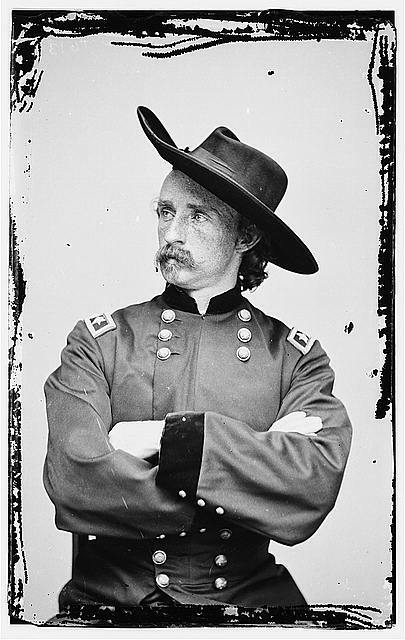 Golden-haired General Custer had been a hero in the American Civil War, and most Sioux soon realized that although they won the Battle of the Little Bighorn, they would face unrelenting revenge and inevitably lose the struggle to save their lands. More soldiers and more guns would follow Custer. So these wandering people laid down their bows and lances and guns, and grudgingly moved into confinement on reservations. 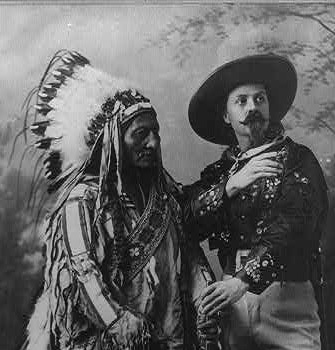 The great Sitting Bull was reduced to accepting payment for humiliating appearances in “savage” Indian make-up in Buffalo Bill’s Wild West shows. He fought on, leading other bloody raids on whites’ wagon trains and encampments. 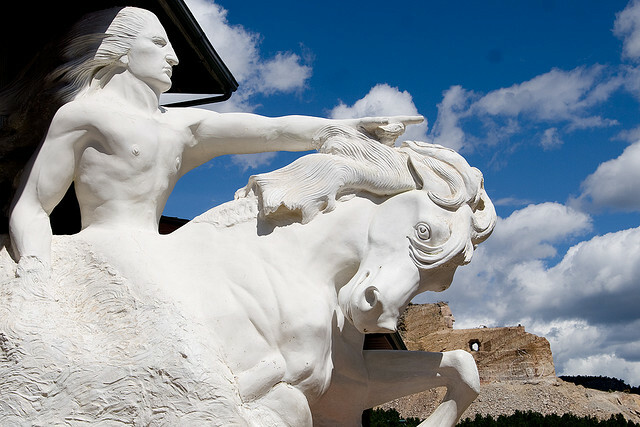 So you can see why many white Americans did not regard Crazy Horse as a fitting figure to tower for all time in South Dakota’s piney foothills of the Rocky Mountains. They likened it to erecting a statue to Mexico’s General Antonio Lopez de Santa Anna, whose force of 5,000 men slaughtered about 185 Americans defending the Alamo mission in Texas in 1836; or Naval Marshal General Isoruko Yamamoto, who commanded Japan’s sneak attack on Hawaii’s Pearl Harbor in 1941, sinking or badly damaging 16 U.S. warships and killing more than 2,400 servicemen and women and civilians. Pursued by troops and driven to the point of starvation, Crazy Horse and his band eventually surrendered. Crazy Horse, defiant as always in captivity, was bayoneted and killed by a nervous young soldier at Fort Robinson in Nebraska. Not once did the rebellious war chief sign a treaty. Nor, so far as anyone knows, was he ever photographed. 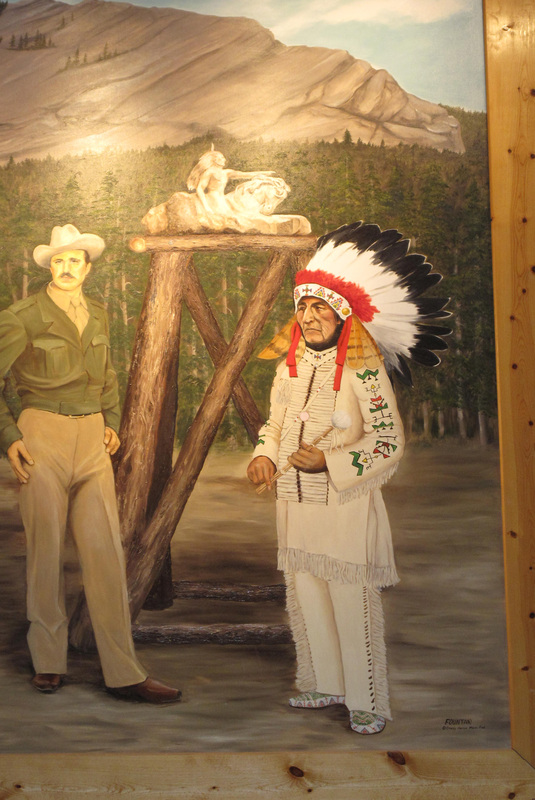 Unlike Sitting Bull, he certainly never posed placidly for a white man’s painting. So what did he look like? In 1948, Korczak Ziółkowski was fortunate to meet five elderly Lakota Sioux survivors of the 1876 Little Bighorn battle. 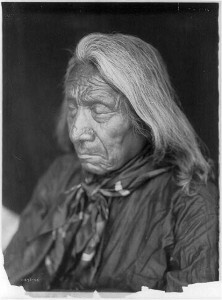 They described Crazy Horse as a small man with loose, flowing hair, a stone worn behind one ear, and a facial scar left by a U.S. Army rifleman’s bullet. Since the memorial on Thunderhead Mountain was intended as a monument to all Indian people, Korczak was pleased that other details could be left to his imagination. 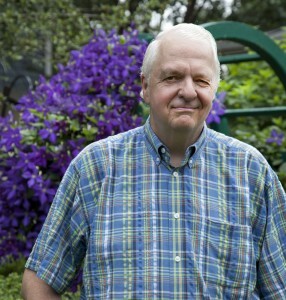 His task was supported by donations alone and no federal or state funds. To this day, workers collect pieces blasted from the mountain and place them in a “rock box,” from which visitors can pick them up, leave donations, and take them home. The rock box alone generates about $100,000 a year. Korczak worked until he died in 1982. During all his years of work on Thunderhead Mountain, he refused to accept a salary. A quick interruption to tell you that at the end of the podcast of this blog, I have added my full audio interview of Ruth Ziółkowski, in the event you’d like to hear more about her husband’s lifetime project. You want scale? Carol and I are standing on an outcropping next to the carving of just Crazy Horse's head. The carved, granite head of Crazy Horse alone stands 27 meters (87 feet) tall. In the past decade, the first outlines of the warrior’s horse have taken shape below him. When completed, the total work will rise a staggering 172 meters (563 feet). That’s three meters taller than the Washington Monument and 25 meters higher than the Pyramid of Giza. More gets done in the cold, snowy South Dakota winter, surprisingly, than in its balmy summer, due in part to the area’s violent thunderstorms. 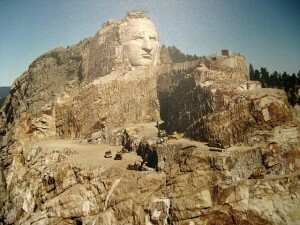 The work has roughly followed the same techniques as Borglum used at Rushmore, beginning with a three-dimensional measuring system that enables the sculptor to create a manageable scale model. With it as a guide, workers began a systematic series of dynamite blasts on the granite mountainside. Very careful blasts. After all, it wouldn’t do to have a war chief’s nose break off during the excavation. 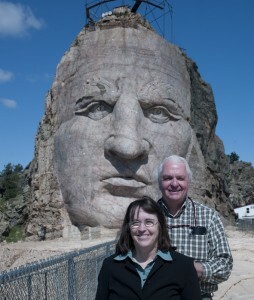 As 8 million tons of rock (so far) have been loosened and the rubble bulldozed off Thunderhead Mountain, the Crazy Horse colossus in the round — this is no bas-relief — has been honed using supersonic torches. One of the trickiest maneuvers was blasting a hole, 10 stories high, clear through the mountain to create the space between Crazy Horse’s left arm, which points out across his beloved Black Hills, and his stone horse’s mane below. Who would not want it? As I mentioned, those who find Crazy Horse’s deadly attacks barbaric, for one. And some Indians, too. Lymon Red Cloud, great grandson of another Sioux warrior, Chief Red Cloud, told me that he and other Sioux resent white men building another monument — even one to an Indian — on sacred land. This is wrong. Very wrong. As an honor, we give eagle feathers. And Crazy Horse has received eagle feathers from our people for honor and for recognition. But the white people cannot give him eagle feathers. Of course, there’s no putting a dollar value on its potential beneficial effect on the pride of a demoralized people. Plans for the valley in Crazy Horse’s shadow call for a hogan-style Indian Museum of North America, and a new university campus to serve American and Canadian Indians from across the continent. 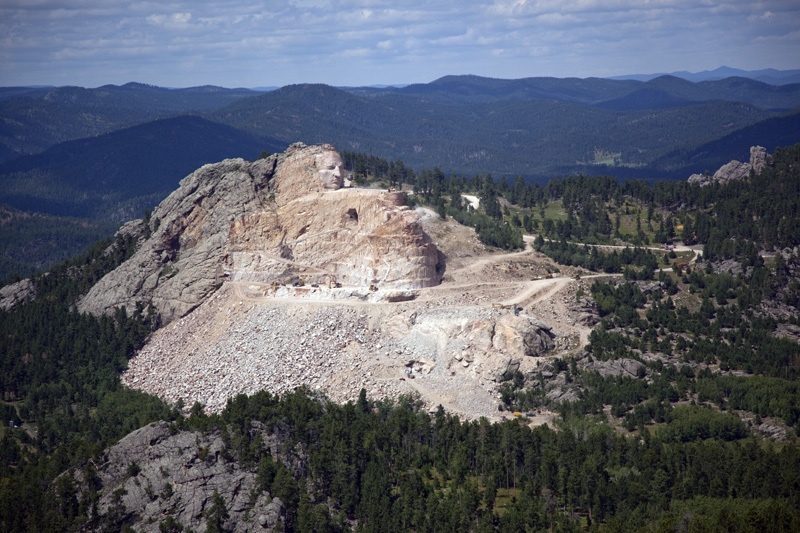 And everyone I’ve talked with agrees that this site and the Mount Rushmore tribute to U.S. presidents should be the last mountains disturbed in the Black Hills. There’s one last, ironic twist to the story. Remember the fair-haired general whom Crazy Horse defeated in battle? Guess what’s the name of the closest town to the warrior’s great stone monument? Chiseler. Although literally referring to one who chisels stone or wood, the word more often describes a thief, especially one who methodically chips away at the victim’s fortune. Escutcheon. A shield or shield-shaped emblem, often used to display a family’s coat of arms. The word is also often used metaphorically to represent a nation or family’s reputation. Hogan. A Navajo Indian dwelling built of earth and branches and covered by sod or mud. Thanks, Ted. It´s really a great story. I will definitely be there to witness it when it is complete. I am now reading the book in Tamil. Great Great Story..
Every time when I just think of the book (and film) “Bury my Heart at Wounded Knee” I cry. What happened to the American Indian is the greatest crime of all times (in my eyes even worse than what Hitler has done to the Jews). The white man has extinguished a great civilization and I am very. very sorry for that. I know it cannot be reversed but I wish I could do more than just pray for the American Indians. I wish I could give them their rightful land back, and their lives they used to live. 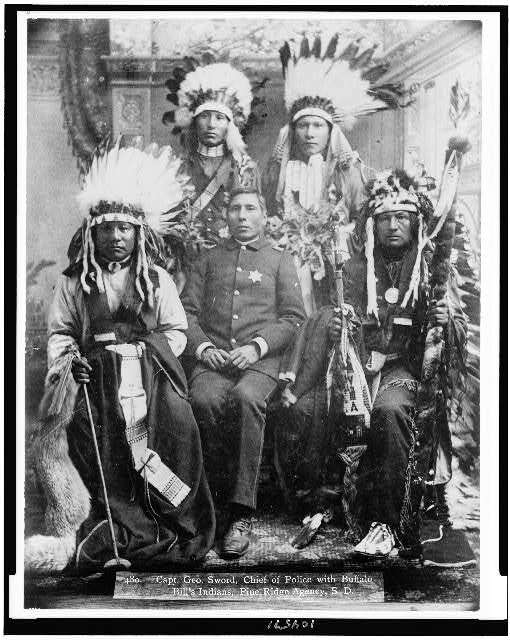 This country would have been much better off, if the white man had left the Indians alone. Yes, we have badly mistreated the original natives to our land. This saddens me, but what angers me is the continued stereotyping of American Indians as “savages.” This acute in my city, which pretends that the “Redskins” nickname for our pro football team is some sort of tribute. 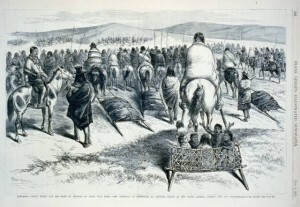 Read any novel of the late-19th and early-to-mid-20th centuries, and you know better — that Redskins is a derogatory term sometimes accompanied by adjectives such as ‘filthy” and “scheming.” And don’t get me started about the “tomahawk chop” at Atlanta “Braves” baseball and Florida State “Seminole” games. More Indians-as-savage-scalpers stuff. Awesome story. My pops just got back from that area and said you have to see it in person to believe it. Keep up the good work.